If you are in business as a plumber, whether as a sole trader or a company, we have sample Terms of Business that you can use with your clients. 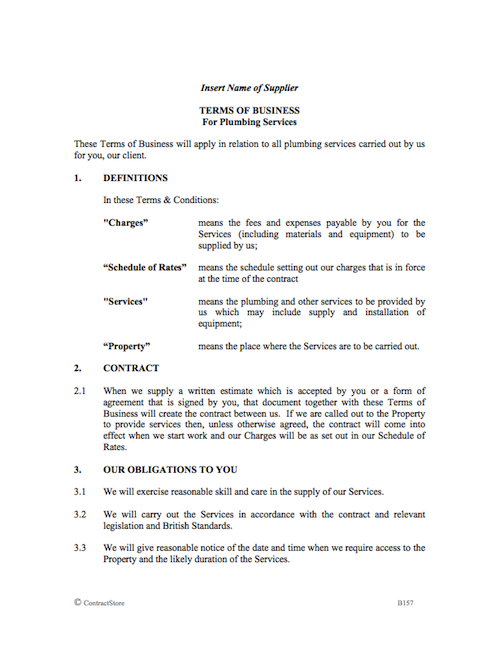 There is a one page Form of Agreement plus Terms of Business that have 16 clauses dealing with your obligations and those of the client, pricing and payment, and dealing with changes and extras, as well as insurance and limiting your liability. Our template is in plain English and gives your business a professional look, as well as giving you some protection when working on a job. 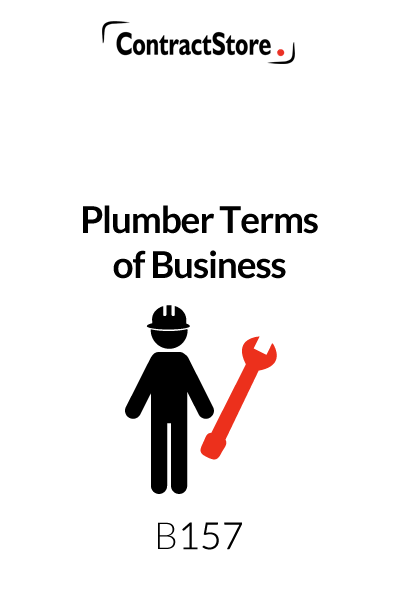 These Plumber Terms of Business are practical and written in plain English. The Form of Agreement should be filled in and signed by the plumber and the client before the work starts. But in practice this can be difficult, so you should at least give the client/customer a copy of the Terms of Business at the beginning of the job as well as the Schedule of Rates. If the client is a consumer and not a business, there is wording to comply with the Consumer Contracts Regulations. See our free download Z171 for more information. This explains how the contract comes into existence. 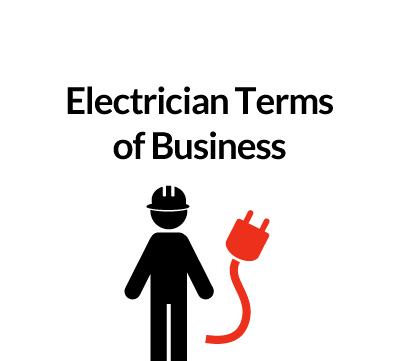 It deals with a situation where an estimate or form of agreement is provided to the client as well as where the plumber is called out to do a job right away. The company has basic obligations to exercise reasonable skill and care, and provide services as agreed between the company and the client. If the work includes supply and installation of new equipment – e.g. a bathroom suite, this is also referred to so the company can substitute an alternative if the agreed equipment is not available. The client is responsible for giving the company access to the site when they need it, for clearing the space to enable the work to go ahead and for providing facilities such as secure storage for equipment, power supply etc. Responsibility for getting planning consents is with the client. This sets out items of work that are excluded. This will vary depending on your particular approach. In our template we exclude clearing away furniture etc., building work and redecoration (e.g. if pipes have to be taken through walls) and, as an option, removal of debris. 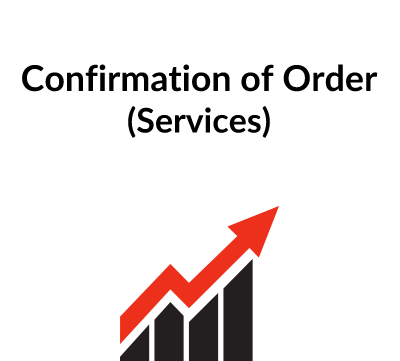 This is designed to ensure that if a client asks for a change to the services provided by the company, the company will be paid for it at an appropriate rate. To the extent that a variation in the Services results in a change to the contract period or cost to the client, this clause sets out the company’s rights and obligations. 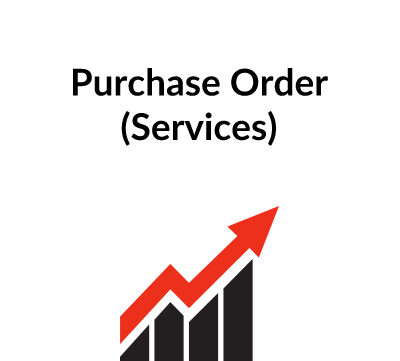 This refers to the rates and to the form of agreement if there is a fixed price. Invoices are payable on receipt and there is a method for dealing with any complaint the client might raise. The company also has the right to give notice to suspend the work for non-payment as well as the right to claim interest on late payment. Ownership of all equipment is retained by the company until everything has been paid for, but risk of loss or damage passes to the client when equipment is delivered to the site. The company’s liability in the event of any property damage is limited. This will need to be tailored to the particular circumstances but under our clause the client is responsible for insuring the property and the company has to maintain public liability and employers liability insurance. This covers the situation when the contract has a commencement date and a completion date. The wording makes it clear that neither of these is guaranteed. Under clause 10.3 the company is responsible for fixing defects for a specified period after the work is completed: this could be 6 months or more or less: it is up to you to insert the appropriate period. When there is a manufacturer’s warranty for equipment that has been installed – e.g. a shower unit – the company will give the client the benefit of this and it is then for the client to deal with the manufacturer if a defect appears. This clause makes it clear that the company will not be liable to the client for losses incurred by the client, and limits the financial liability of the company under the Contract. Legal advice is recommended here as the wording of limitation clauses may need to be adjusted to take account of particular circumstances and there is also legislation designed to protect consumers against unfair terms. This gives the company party the right to terminate the contract if the client fails to pay or commits another breach of the Contract. Either party may terminate the contract if the other party becomes insolvent. The financial consequences of termination are discussed, with particular reference to amounts due to the company. The company’s designs are owned by the company, and the client has limited rights to use them, as set out in this clause. Unforeseeable events such as flood and fire are covered by this clause, limiting company liability to the client. This clause contains a three stage method of resolving disputes – first, direct negotiation, second a referral to adjudication (or mediation) and, thirdly, the courts of England and Wales. There is information on adjudication in the Free Information (Alternative Dispute Resolution) note on our website. This contains a number of provisions concerning notices, assignment, etc. For more detail on some of these subjects, see the Free Information (Boilerplate Clauses) note on our website.